150.00 is the Approximate Average List Price. 18K, 14K and 10K Yellow Gold and White Gold Chains. Many Styles and Lengths. Range of Prices. 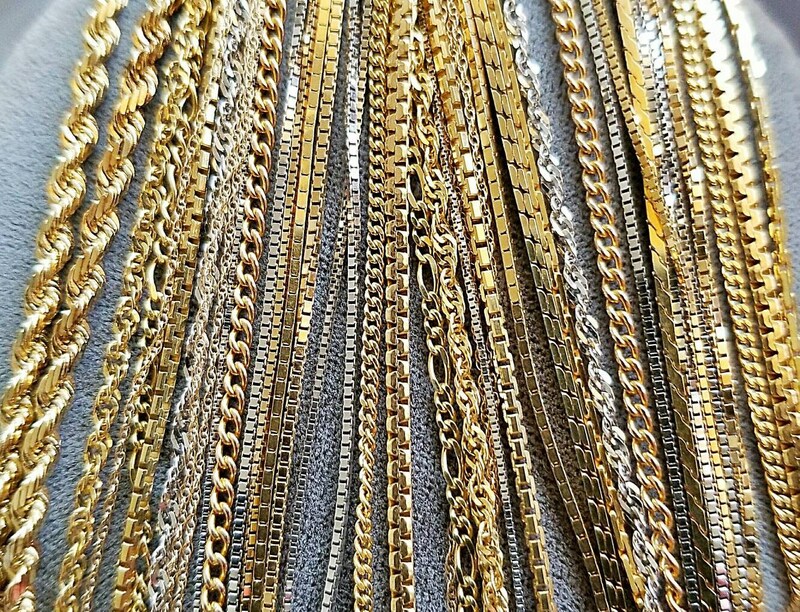 Woven rope chains, pendant chains, box chains, Figaro chains, rope style chains, Singapore chains, cobra chains, wheat chains, diamond cut wheat chains, serpentine chains.....and more. Lengths from 16" to 30". 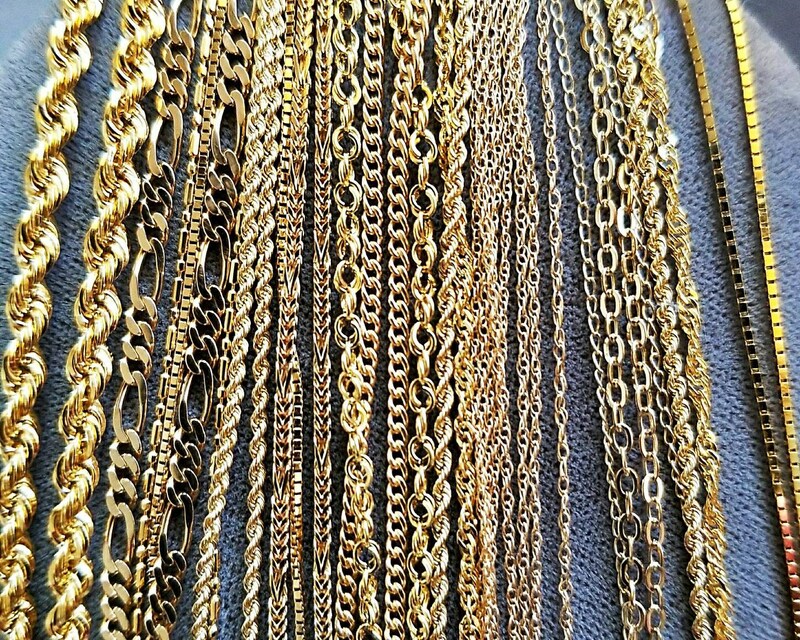 Attached to each chain is a clasp and ends to the chains, hallmarked with karat marking, Italy if Italian made and some have a manufacturers mark. The clasp is usually a lobster claw clasp or spring ring style clasp including jump rings, tabs or caps for fastening the chain.